Take The WORD with you wherever you go! The Believer's Voice of Victory broadcast is available on a variety of digital channels. Find your favorites and take The WORD with you wherever you go! Watch KCM’s 24/7 TV network for teaching from today’s most-trusted Bible teachers. The Believer’s Voice of Victory Network (BVOVN) is a new kind of network. Unlike 99.9 percent of the TV out there, this is a network built on faith. Enjoy positive, 24/7 programming on healing, finances, relationships, finding peace and more to help you and your family find victory in life. No matter when you tune in, you’ll hear the Word of God taught—uncompromised—by a hand-selected group of today’s most-trusted Bible teachers. On the Web at kcm.org/live, bvovn.com and YouTube. Watch us on your schedule via streaming TV. 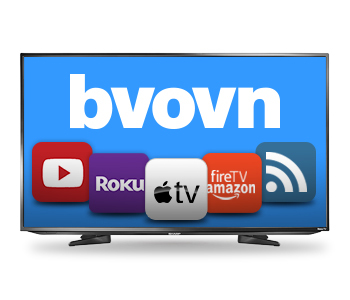 If you own an Apple TV® (4th generation or later), Roku® or Amazon Fire TV® internet streaming device, you can download both the Kenneth Copeland Ministries and Believer’s Voice of Victory Network apps/channels by searching for Kenneth Copeland Ministries and Believer’s Voice of Victory Network. You will have access to the BVOV broadcast, the BVOVN live stream, and years of archived content...all available whenever you want to watch! Visit Apple to purchase or learn more about Apple TV. 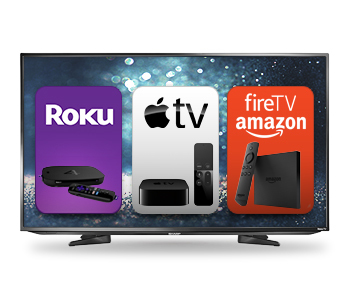 Visit Roku to purchase or learn more about Roku. Visit Amazon to purchase or learn more about Amazon Fire TV. 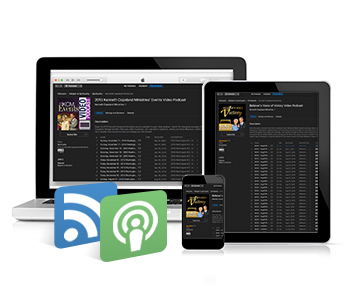 Listen or watch on the go with your favorite podcasting app. 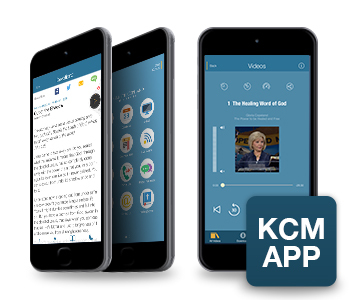 From any of your smart devices, you can download the KCM audio or video podcasts. Just search for Kenneth Copeland Ministries in your favorite podcast app, or in the iTunes or Google Play stores. You can also subscribe to a podcast by clicking on your favorite podcast below, then sync it with your smart device to take the podcast with you! Note: The Believer’s Voice of Victory Network (BVOVN) is not available via podcast. Watch us on the world’s most popular video channel. 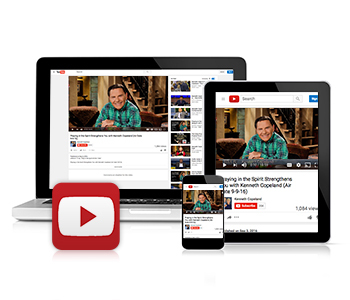 If you have access to YouTube, you have access to the BVOV broadcastand the Believer’s Voice of Victory Network (BVOVN). Simply click over to either channel, and watch the latest broadcast, BVOVN live stream, decades of classic teachings and more. Click here to access the Kenneth Copeland Ministries YouTube channel. Click here to access the Believer’s Voice of Victory YouTube channel. A Faith-Filled App that goes with you anywhere. Kenneth Copeland Ministries app for iPhones, iPads (App Store) and Android phones and Tablets (Google Play Store) is a convenient way to not only take the BVOV broadcast with you, but also access the From Faith to Faith daily devotional, daily Bible reading, Real Help, submit a Prayer, share content with Friends & Family and more. Click here to download from the App Store or click here to download from Google Play Store.